This works great for many practical purposes but if you are generating security sensitive identifier then this is not 100% secure. The RandomStringUtils class uses an instance of java.util.Random instantiated without arguments and as per Javadoc, the java.util.Random will use current system time if no seed is provided. This means that it can not be used for session identifiers or security sensitive keys since an attacker can easily predict what the generated session identifiers are at any given time. The JDK 7 introduced a newer SecureRandom class which provides better security as compared to java.util.Random and provides a cryptographically strong random number generator. I'll show you can use that to generate an alphabetic, numeric or alphanumeric string of given length in Java. Let's first take a look how you can generate an alphabetic string, which just comprises alphabets. They may contain small and capital letters which means you total 26 + 26 = 52 letters to choose. And then we'll use SecureRandom number to generate a random integer in a range i.e. from 0 to 51 because our source string has only 52 characters and index in string starts from 0 and goes till length -1. We can then use that random int to pick the character from the source string. Just repeat this process until you have a random string of given length. For example, if you need to generate a random alphabetic string of length 10 then repeat the steps in a loop 10 times. Here secureRnd is an instance of SecureRandom class, which is maintained in a class variable so that everyone can reuse it. If you have read my post about generating random int values in the range, you might remember that creating a new instance of java.util.Random or SecureRandom everytime you need a random number is not the right way to use it. In above code, we use a StringBuilder to create a mutable string and using charAt() function to retrieve the characters from random index from source String. See The Complete Java Master Class to learn more about String and StringBuilder class. If you want to include some special characters e.g. $, #, or - then you can include them too but then your string will no longer remain alpha-numeric. The rest of the code will remain same i.e. you can use the same radomString() method to generate an alphanumeric string, no change on that. Same goes for generating a numeric string, all you need to do is change the source to contain only numbers e.g. The rest of the code will remain same. You can also choose to include special characters if you want. Btw, if security is not your concern you can also use the ThreadLocalRandom class of JDK 7, it provides better performance in the concurrent environment because each thread keeps their own Random number generator. If you want to know more about ThreadLocalRandom and SecureRandom and their difference, I suggest you check the Java Performance The Definitive Guide By Scott Oaks. Now, that you know how you can use SecureRandom or ThreadLocalRandom class to generate a random string of given length and characters e.g. alphabetic, alphanumeric, and numeric. Let's see them in action by writing a complete Java program. static final String SOURCE = "0123456789ABCDEFGHIJKLMNOPQRSTUVWXYZ"
System.out.println("5 random alphanumeric string with length 20"
In this program, I have shown you how you can generate a random Alphanumeric string with length 10, 12 and 20 by using SecureRandom and without any third-party library, as well by using the Apache Commons Lang library. Though I suggest you use the SecureRandom because if a functionality is available in JDK better leverage it. It is also more secure and up-to-date. 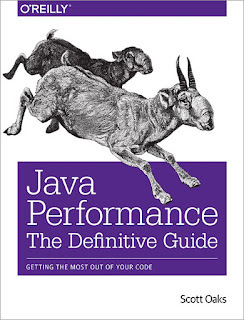 If you want to learn more about SecureRandom and ThreadLocalRandom class of JDK 7, I suggest you read Java Performance The Definitive Guide By Scott Oaks. That's all about how to generate random alphabetic, numeric, and alphanumeric String of given length in Java. Ideally, you should use SecureRandom class but that's only available from JDK 7, if you don't mind a pseudo-random or running on JDK 6 or lower version then you can also use the java.util.Random class. 5 ways to compare String in Java? How to split a comma separated String in Java? How to replace characters and substring in given String? 3 ways to convert JSON String to Java Object?